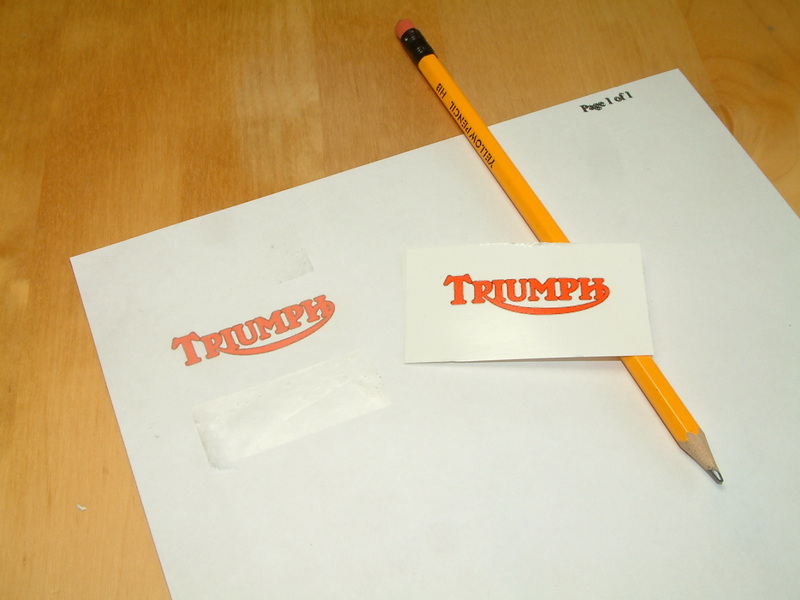 Decal / Transfer Paper, what it is & how to use it. Anyone who has had chance to look through the Workshop section of this site, will by now have had an idea of what Code 3 models are about. In short they are models (usually worn out), revamped by hobbyists into new and sometimes ingenious versions. A major aid to creating a new look for any model is to add new artwork or company logo’s, and with a half decent PC, printer, and some special decal paper this is not as hard as you might imagine. 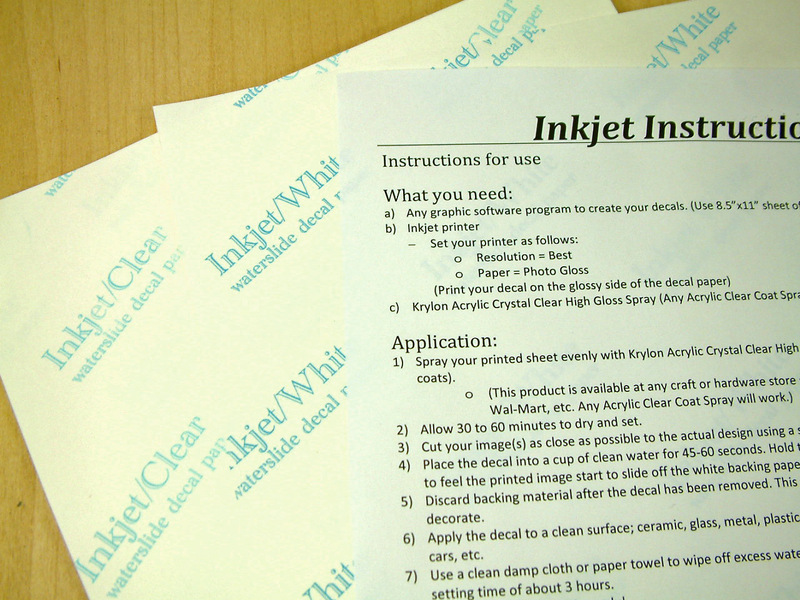 Printable decal paper comes in two forms, ‘Clear’ and ‘White’. To understand the difference between them it helps to understand the biggest shortcoming of making decals on a home printer, in that most inkjet printers cannot print white. There is no white cartridge in most printer’s, and no combination of colours can make white. When you print out anything such as a picture or logo that has white in it, the printer simply assumes you are printing on white paper and leaves an appropriate gap. This may be fine on a page but doesn’t help much on the side of a model. Suppose as an example you want to make a decal with the word ‘CAR’ in white on a black filled-in box, which paper do you use ? 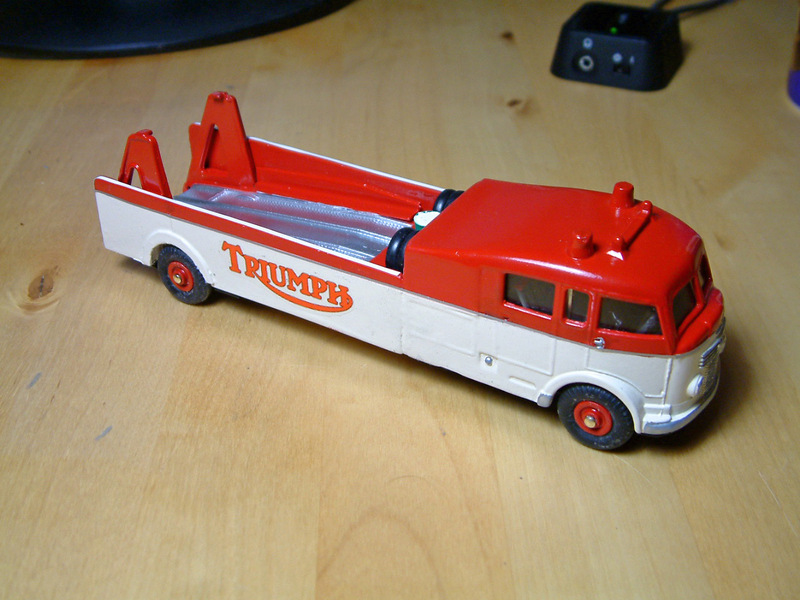 Well that mainly depends on the colour of the finished model, and the look of the decal you want to apply to it. If you print your ‘CAR’ decal onto clear decal paper, you are effectively putting it onto a see through sheet, that will allow any background you place it on to be seen. This is fine if you are going to put the image against a white background similar to the page you printed it on, but if you try and put it on the side of a dark blue model for instance, the black box would be there, but as the letters are actually clear, and they would turn dark blue when you put them against a dark blue background, and therefore would be very hard to see. Basically clear decal paper is as it says ‘clear’ and although it will print your design, it will let any colour to show through that it is put on. Another complication is that colours can mix. I once had a wonderful model planned which was yellow and I needed a company logo on it in blue. Yellow being the light colour and blue the dark all would be ok I thought. When I put the home printed ‘clear paper’ decal of blue lettering against the yellow background however, it immediately turned green as the two colours combined. Clear paper is favoured by most model makers, however the general rule is it should only be used on very light backgrounds. On the other hand suppose you chose to print your decal with White decal paper. ‘White’ paper has a white background so effectively whatever you print will also always have a white background. In other words the black in-filled box would be black, and the gap left for the words ‘CAR’ would now be white, so you would see it clearly no matter what background you put it up against. This is great I hear you say. Well it is, but although you will now be able to see light colours against a dark background, whatever decal you make you will have a white border to your design, because if you try and trim the border of the decal to much to hide the white background, you risk ink washing away when you wet the decal to apply it. This isn’t the end of the world and with practise you can hide the white border very well or you may want your design to appear in a white box, but it takes some thinking about when planning your project. Once you have worked out your design and which paper to use, the rest is actually very simple. First of all, print our your design on a standard sheet of A4 paper. If you have a design program on your computer you may well have done your own from scratch. More often than not I prefer to just find what I’m looking for on line, and print it straight from a folder after I’ve saved it, possibly doing some slight alteration to size or colour with a basic print program. Print it out on ordinary paper first, the point of this is that you get to see it before turning it into a decal (saves money on wasted prints on expensive decal paper), and also you have a template for the size of decal paper you need to cut out. Once you are happy with your template, cut out a piece of decal paper and stick it over the template, making sure you only put the sellotape along the edges and not over the design itself. 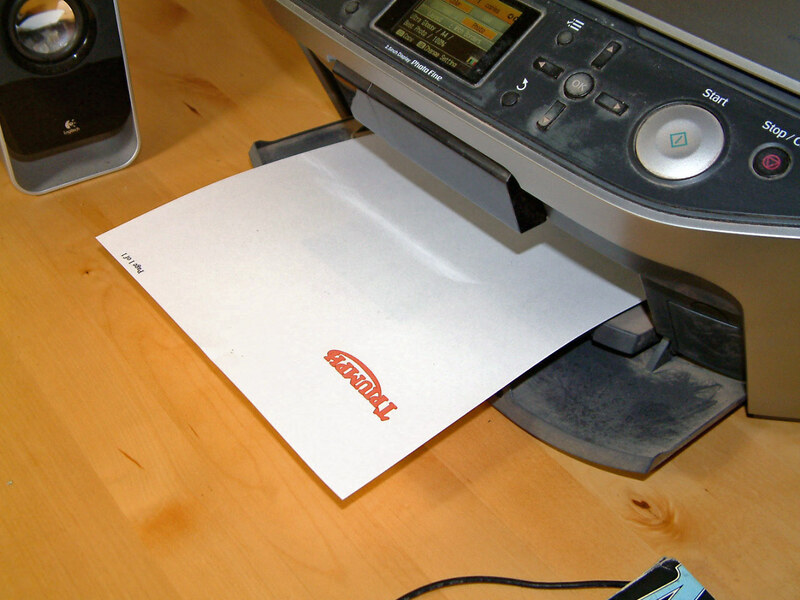 Once you have done this run your piece of paper through the printer again, and you now have your design on your decal paper. Some people will try to fill up an entire sheet of decal paper and print it all in one go. This is fine if you are going to use all of your designs straight away, but if you cut out and use a small piece at a time, your decal paper will last a lot longer. Here we now have our design on the decal paper. As you can see it is a lot brighter than it looks on the plain regular paper. Don’t worry if your design seems dull when you print it on your template paper, as it will look a lot different when it’s finished. Also, when you are ready to make the actual print to decal paper, first go to your printer settings and bump them up to ‘Photo’ quality. 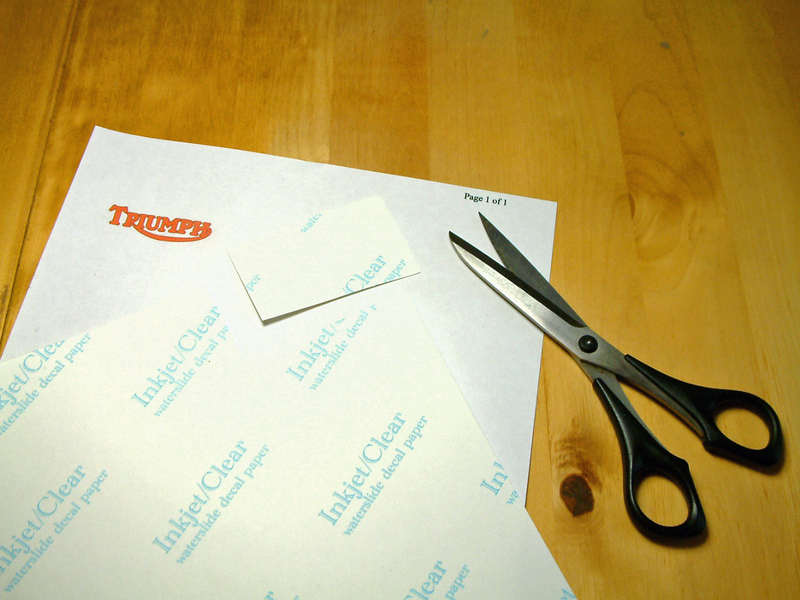 Decal paper is naturally glossy and is able to soak up a lot of ink. Having given your design time to dry after it’s been printed, last thing you need to do before it’s ready to use is to seal it. As the decal is applied by soaking it in water to release the backing paper, the last thing you want is to see the ink floating off the paper at the same time. To stop this you will need to ‘seal’ the ink using a clear acrylic coating. You can brush one on, but I prefer to use a spray can to get an even coat. 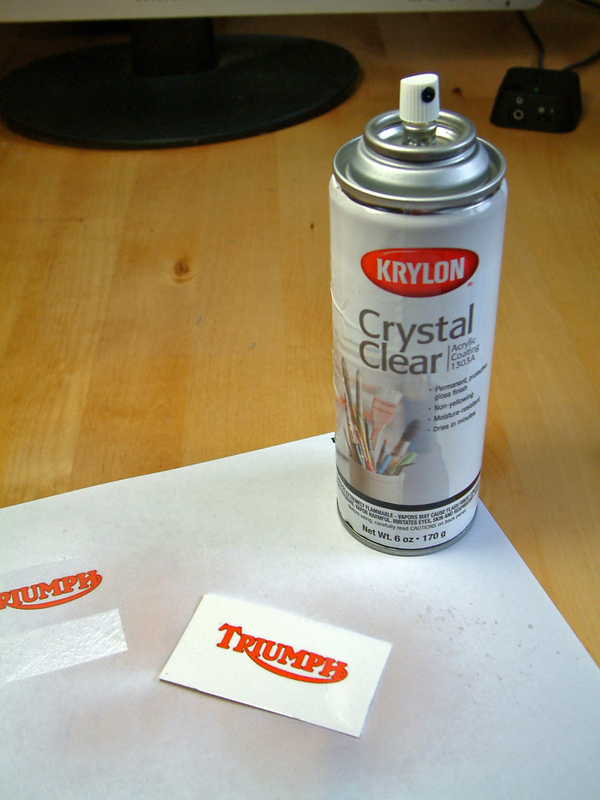 For the paper I use I follow the manufacturers guide and use Krylon Crystal Clear Coating, as you can see in the picture. This is however getting harder to find in this country due I’m told to EU regulations, there are though always alternatives. I have in the past used Acrylic sealants brought from local Model Shops, or failing that anywhere that stocks car paints. Some sealants I have found seem to make the finished decal very stretchy and hard to apply, but it’s a matter of finding one that suits you. If you find a particular sealant doesn’t work for you, try another, as with most things in Code 3 modelling, it’s all a matter of experimentation. Finally we are ready to apply the decal to our model. To apply, simply cut your decal out and then let it soak in some warm water. I generally find that this paper only takes about twenty seconds to let the decal separate from it’s backing paper, but it is fairly hardy, so if you take it out of the water to early just pop it back in again for a bit longer. Once the decal is sliding smoothly on it’s backing paper introduce it to the model and position it. Dab the decal with tissue paper to fix it in place. Finally the decal is on the model. The model has still lots more to be done to complete it, but at last it now has an identity, and that would not have been possible without the use of home printer decal paper. I hope this article has been of some use to you all, and if you have any questions or comments about it, please do let me know. 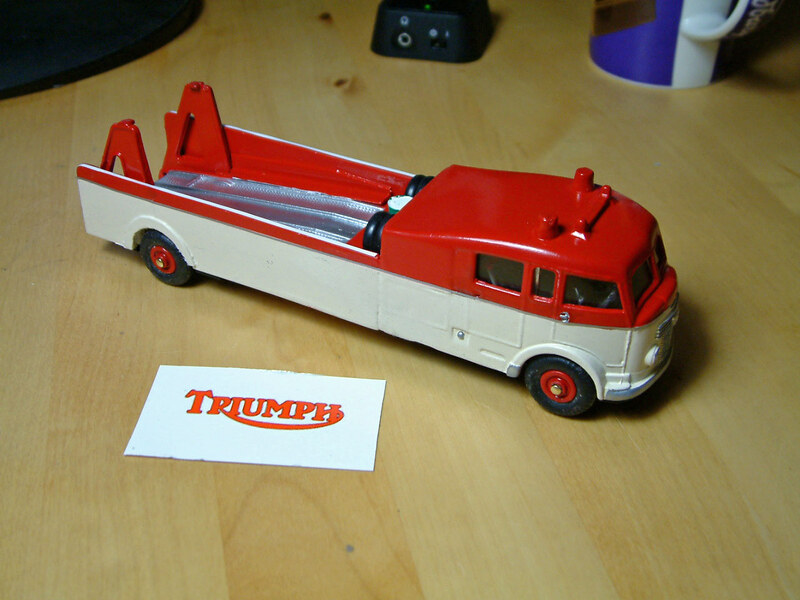 This entry was posted in From the workshop (Code 3) and tagged Decal, Decal Paper, Decal Sheet, Dinky toys, Ink Jet, Making your own, Model making, Printer, Printing, Transfer paper, Transfers. Bookmark the permalink.